Developing affordable and accessible healthcare solutions! Kaustubh is an innovator with 11 patents and expertise in cardiovascular hemodynamics and human psychoacoustics. With a 17-year experience developing and commercializing technologies. He is recipient of the University of Florida Gator award for Leadership, GATOR 100, 2017 South Florida 40 Under 40 awardee representing the region’s most entrepreneurial and influential young leaders, and considered a leader in the field by the NSF and NIH. He holds a M.S. in Electrical and Computer Engineering, M.S. in Business Administration Management from the U. of Florida and is Six Sigma Green Belt certified. 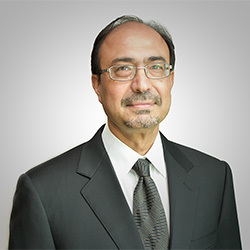 Zaffer has over 30 years of experience building cross-functional teams to create Platforms, including HW/Chipsets, SW, Applications/Services and UI framework as the foundation for Product Realization. 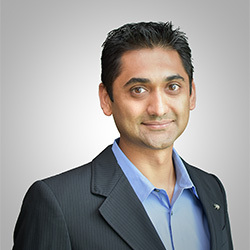 He was the Director Handset Engineering at Nextel International for five years where he successfully led the engineering teams to develop and launch Nextel’s next generation high-performance mobile devices. Prior at Motorola Inc for 26 years he successfully delivered solutions based on Windows Mobile and Android OS built on chipsets from Motorola, Qualcomm, TI and Intel. He is a Motorola Fellow and Distinguished Innovator with 22 US Patents. Tom is an experienced Quality and Regulatory expert who enjoys the development and enrichment of Quality systems enabling them to operate independently. 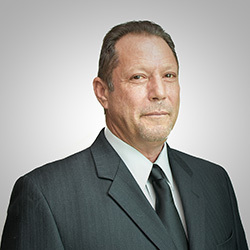 His 20+ years in Quality with more than 15 years specifically in medical device industry for FDA Class II & Class III devices provides extensive experience facilitating the development of Quality Systems and CE Marking.He has a Bachelors in Business Administration from Wayland Baptist University. He is a certified Six Sigma Black Belt (CSSB) with multiple Lead Auditor courses to 21 CFR Part 820, ISO 13485 and various industry specific Quality System regulations. Dr. Borzak has over 27 years of experience in Cardiovascular Diseases, conducted dozens of research studies, and contributed extensively to cardiovascular literature with over 100 publications. Before entering private practice in 2001, he was Associate Division Head of Cardiology at Henry Ford Hospital, Michigan, where he directed the Coronary Care Unit. He has conducted research treatments for acute coronary syndromes, arrhythmias and heart failure. He is a faculty member at the Florida Atlantic University College of Medicine, and the University of Miami Miller School of Medicine. He completed a Cardiology Fellowship at the Brigham and Women’s Hospital & Harvard Medical School in 1991. Dr. Chait is an assistant clinical professor of medicine at the Miller School of Medicine at the University of Miami and at Florida Atlantic University. 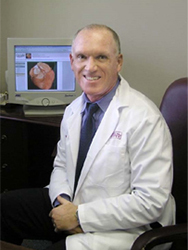 He is the Director of Cardiovascular Education for Fellowship Program at the University of Miami-JFK Medical Center. He has published numerous journal articles and has presented oral abstracts at the national meetings of the American Heart Association. He is board certified in both Internal Medicine and Cardiology and is a Fellow in the American College of Medicine and the American College of Physicians. 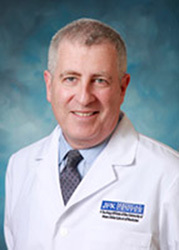 He did his residency at the Long Island Jewish Hillside Medical Center in 1979 and his Cardiology Fellowship at the University Hospitals of Cleveland, in 1981. Join us to build technology that is changing lives! We are hiring. Apply NOW for Full-time and Internship positions! Background in the areas of signal processing, pattern recognition, machine learning, detection and estimation theory. Applications related to developing bio-data analysis algorithms for data interpretation, clinical decision support and mobile health monitoring. C/C++ development in embedded environments and familiar with, vector processing, templates, and STL libraries. Implement algorithms utilizing the DSP. Experience with TI DSP development environment. Good knowledge of MATLAB. Should be creative and motivated in developing innovative Android, iPhone, iPod Touch, and iPad applications, based on AventuSoft's technology. Experience in using the Java, Objective-C programming language and the Cocoa Touch framework. Drive the development of marketing strategy and implementation of promotional efforts. Areas of focus includes social media, email marketing, web content development and sales development. Candidate will grow into a larger role. Open vacation policy. We understand that time to unwind is equally important. Accident, short-term, and long-term disability insurance. A strong belief in work/health balance, we pay 100 percent of your gym membership. Free coffee, snacks and treats. Weekly and monthly happy hours.